Is One Thing That Sets Us Apart From Others in Our Industry. We have Highly Trained Technicians that can install, maintain and service your Garage Door System or Opener. 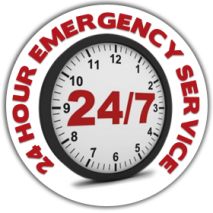 They are also on call 24 hours a day 7 days a week to assist you with your Garage Door Emergency.